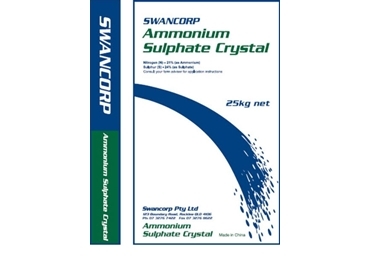 Swancorp specialises in the supply of fertilisers for a range of uses in Australia’s agriculture, horticulture and turf industries. The speciality fertiliser ranges supplied by Swancorp include micro nutrients, soluble fertilisers and soil amendment products. The last decade has seen Swancorp’s specialty fertilisers business flourish, thanks to Swancorp’s dedication to the supply of quality branded crop nutrition products to Australian agriculture, horticulture and turf distribution specialists. Swancorp’s fertiliser product range continues to increase in size with the continuous addition of new and innovative, specialty products.